We are discussing about other two causes, at first, and then we will go for scouring. 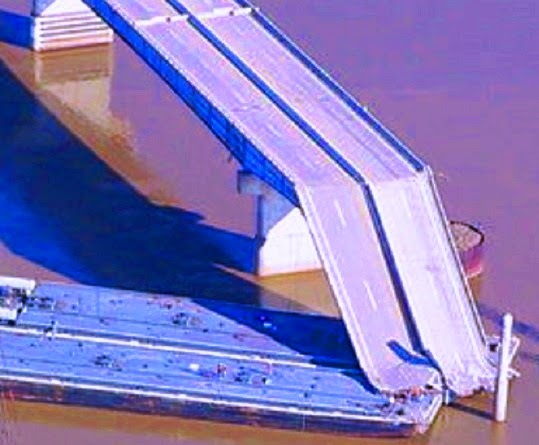 We can include an example of bridge failure due to collision with vehicles; this was Washington Bridge where conflict between critical structural member and an overweight truck occurred. Another example is Minneapolis I-35 West Bridge, 2007. Now-a-days these types of failures are brought down to 12% or less. 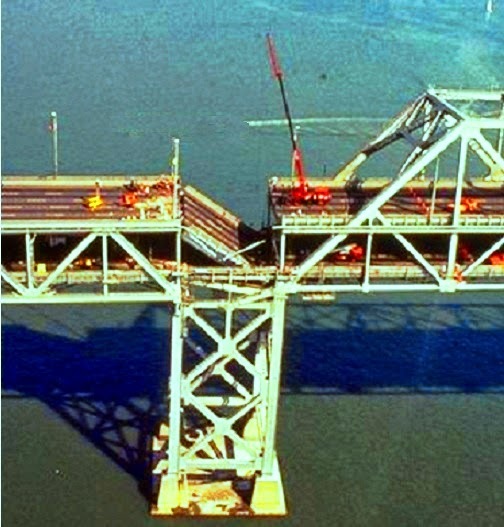 This type of failure secures third position and the remains less than 10% of total causes of bridge failure. Overloading may occur in crowded vehicular or pedestrian traffic over the bridges. A walkway was collapsed resulting 107 people injured in North Carolina. Other causes, occupy very small percentage of collapse relative to bridge scouring; we are ignoring these here. 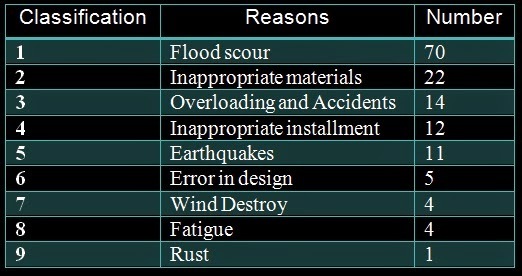 Scouring of foundation is considered primary causes of failure as it occupies around 60% of total bridge failure together with other hydraulic causes. Now some words about scouring; though scouring of foundation can occur all over the year, it reaches peak when flood comes in water body over which a bridge is spanning. 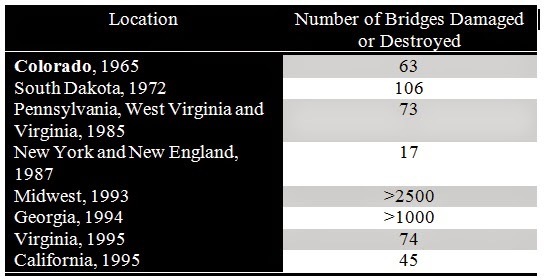 History of bridge failure indicates scouring of streambed around abutments and piers of bridge, led to maximum bridge failures. Considering scouring as dominating cause of failures, after failure of Schoharie Road Bridge, federal authority, recommended monitoring of situation of scouring in every states.